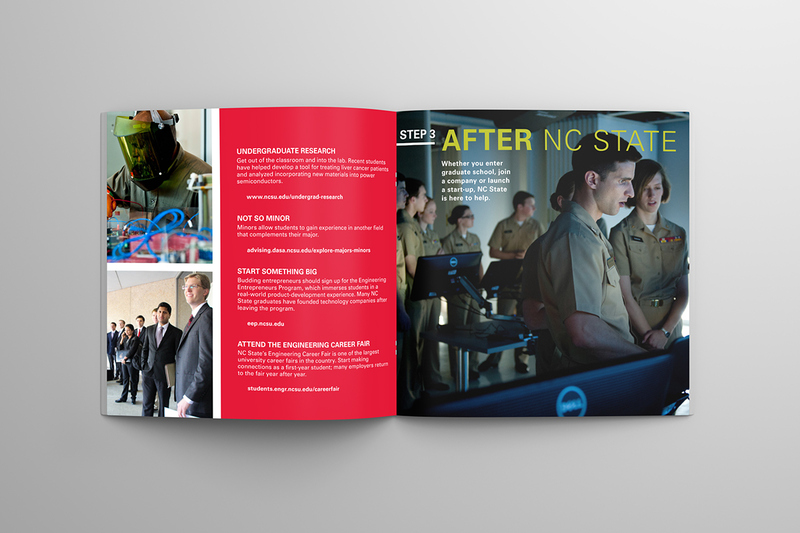 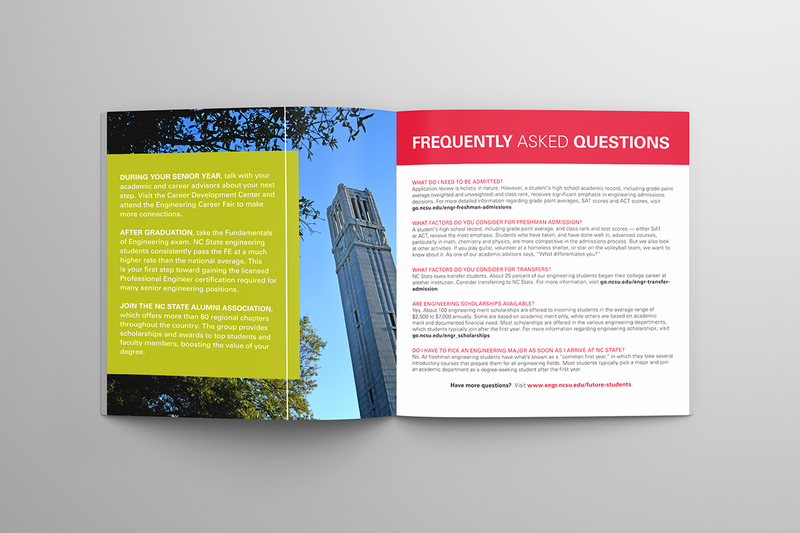 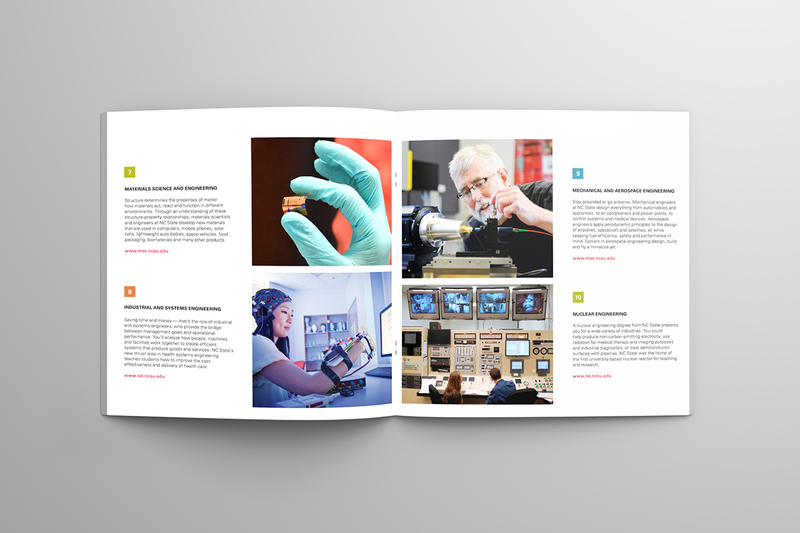 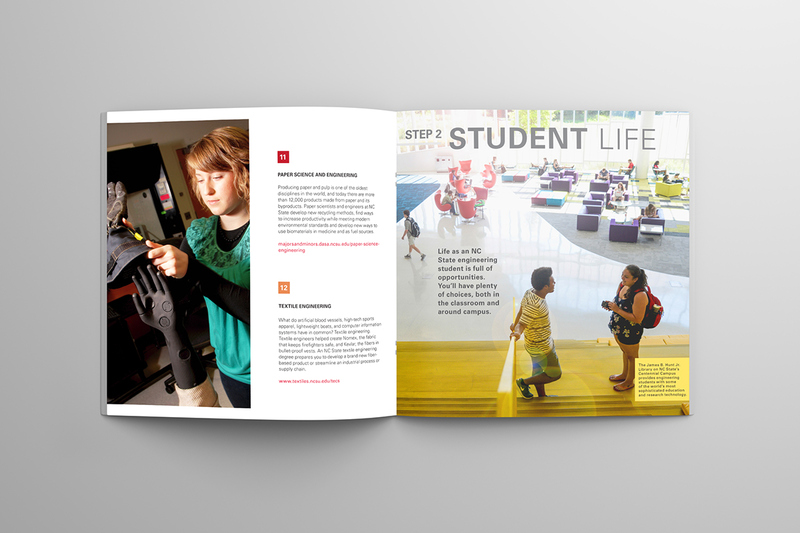 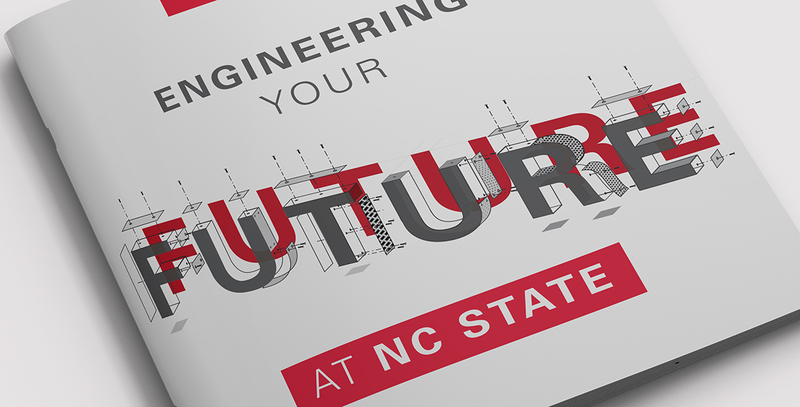 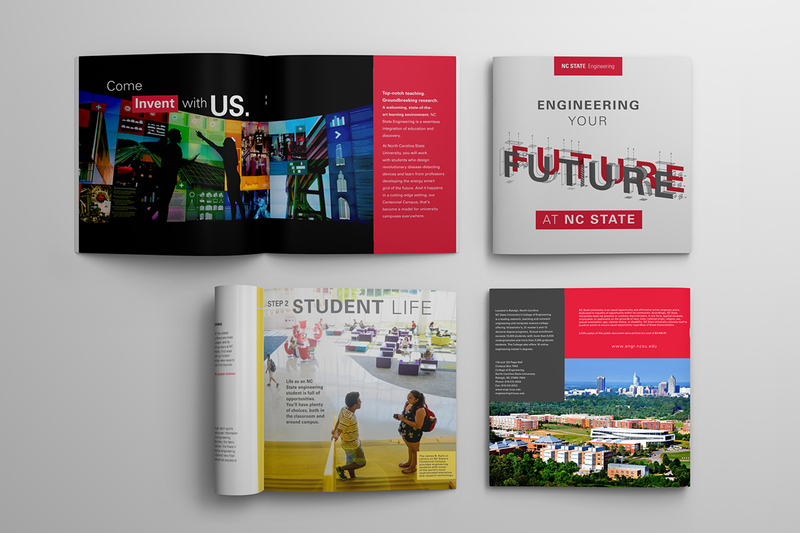 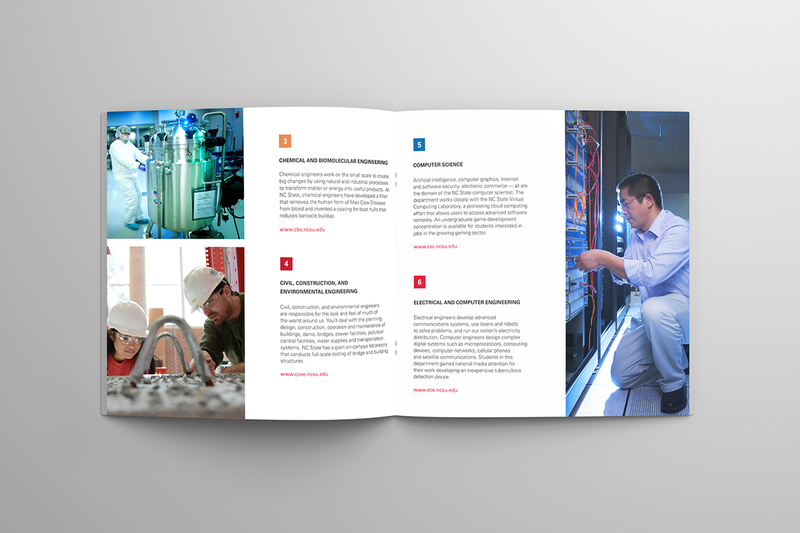 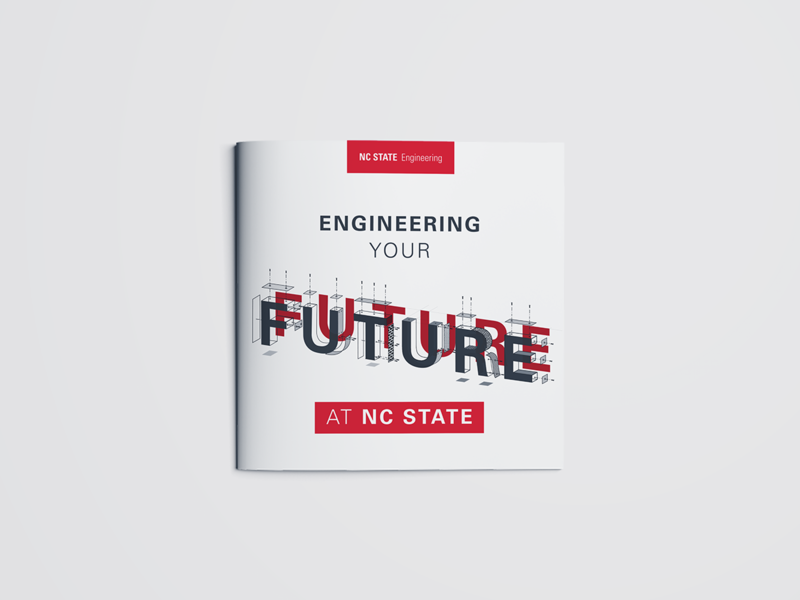 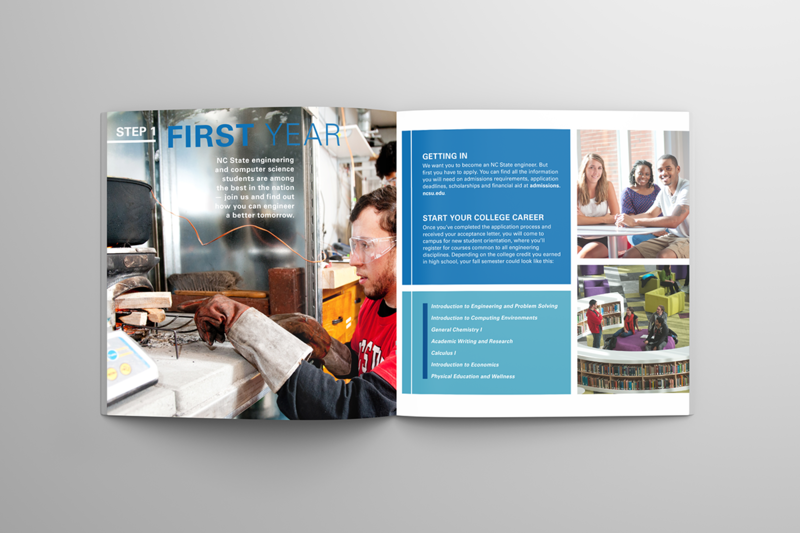 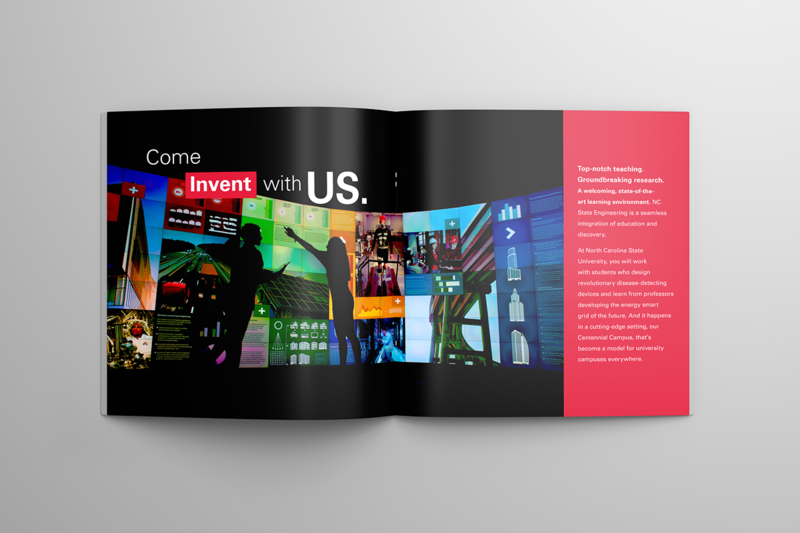 A recruiting viewbook for the College of Engineering at NC State University. 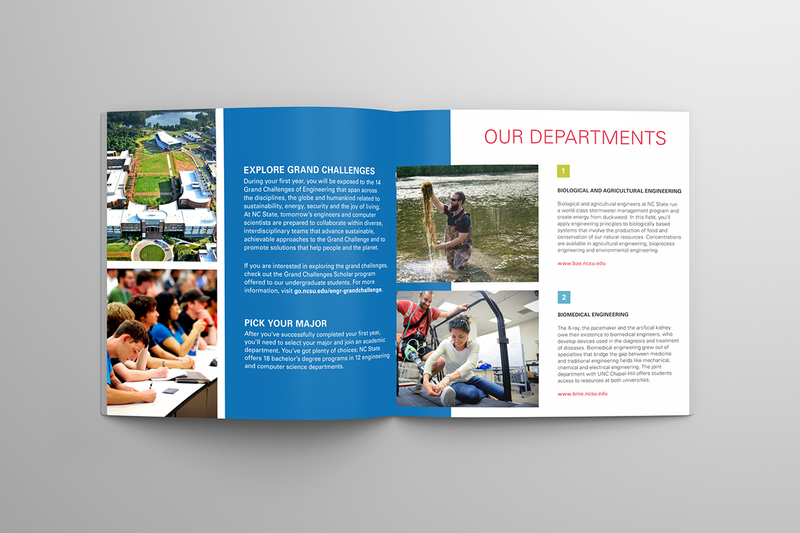 The brochure is 7.5in x 8.5 in saddle stitched. 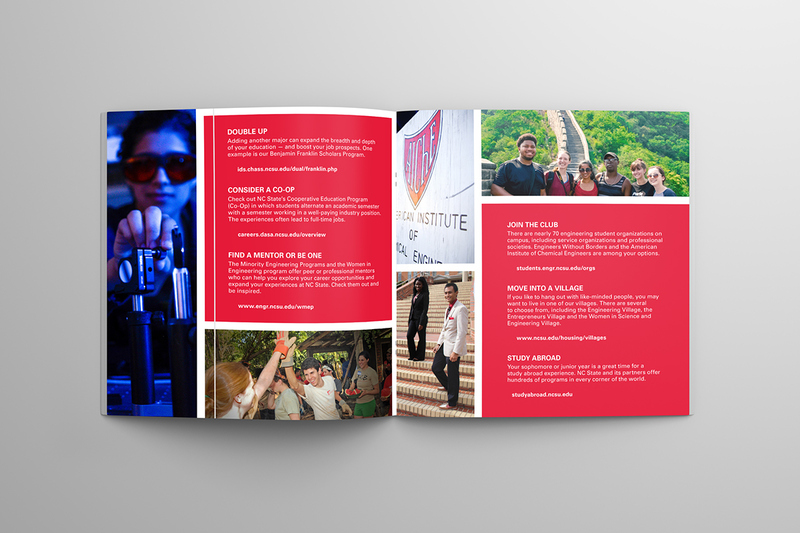 Printed on Endurance Silk 100# Text with 4/4: Full bleeds, Satin aqueous coating, Heavy coverage.